Is it Time to Bring Manufacturing Back to the U.S.? IHA got acquainted with reshoring advocate Rosemary Coates, who will explain the latest in tariff policies that can move a company to bring production back to the U.S. in her presentation at the 2019 International Home + Housewares Show. At the Show, the Innovation Theater will feature 21 presentations over four days. Topics will include design innovation, smart home, digital commerce and global market trends. 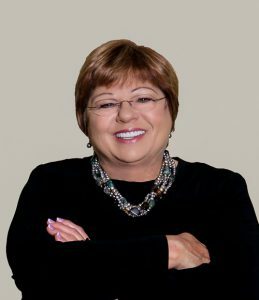 Passionate about bringing manufacturing back to America, Rosemary Coates is the executive director of the Reshoring Institute, a 501c3 non-profit organization. She is an Amazon.com best-selling author with five books including The Reshoring Guidebook and 42 Rules for Sourcing and Manufacturing in China. She has been a management consultant for 25 years and is an expert witness for cases involving global manufacturing. Ms. Coates earned an MBA from University of San Diego and a BS in Business from Arizona State University. She teaches Global Supply Chain Strategy at University of California, Berkeley. The Reshoring Institute was founded in 2013, and has two missions: 1) to assist companies in bringing manufacturing to the U.S. and 2) to teach graduate student interns about manufacturing as they will be the executives of the future. Rosemary, what is the most exciting or rewarding part of your work? Manufacturing is so important to a stable and thriving U.S. economy. Executives are now driving new strategies for global manufacturing and often ask us to assist with these important decisions. It’s a thrill to be able to help make the case for bringing manufacturing back. Can you name a pivotal event that impacted your career or company? The 2012 Presidential election was really the catalyst for reshoring. Both Barack Obama and Mitt Romney were China-bashing and as a result, for the first time in years, corporate executives started considering the possibility of manufacturing in the U.S. This was truly a strategic pivot point for global manufacturers. I spent 15 years helping companies move production and sourcing to China, so I had to re-think what I was doing in order to help my clients. Out of this, the Reshoring Institute was born, and we started doing serious research and analysis regarding what manufacturing could be brought back. As momentum and interest grew in reshoring, more economic analysis was introduced into strategic manufacturing decisions. In the past, everyone automatically went to China for the cheapest overall manufacturing costs. But now there is renewed interest in automation and new technologies to reduce manufacturing costs, improve quality, and speed time to market. These things have dramatically changed the equations and often tip the balance in favor of building products in America. With the application of the 301 penalty tariffs on Chinese imports, costs have significantly increased for finished products and for parts. With uncertainty about how long the trade wars will last, will tariffs increase or decrease, and if the President will start other trade wars, many companies are rethinking their global sourcing decisions. Businesses hate uncertainty because it is hard to make long-term investment decisions. We are living in a world of import/export chaos. What is Your Tariff Policy? Is it Time to Bring Manufacturing Back to the U.S.? 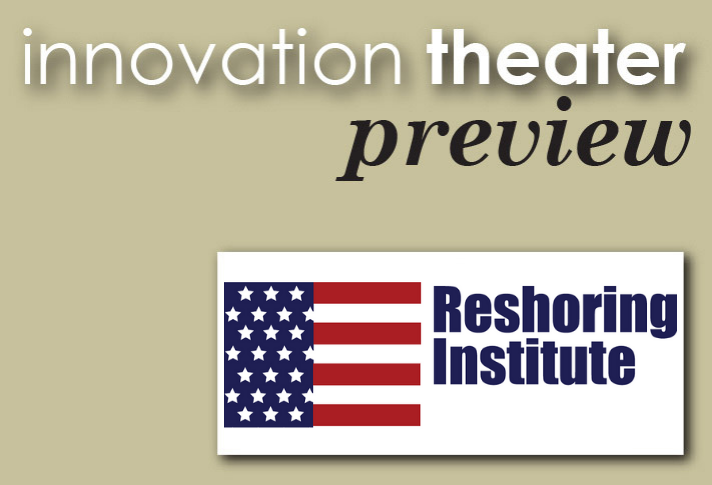 What are you looking forward to most from speaking at the Innovation Theater? I love to engage the audience through my stories and images about manufacturing in China and how it is so important to bring manufacturing back. With the 232 and 301 Chinese penalty tariffs, I will challenge the audience to think strategically about the future. Innovation in manufacturing is essential to make the economics work for manufacturing in America. I will discuss how you can make the decision to manufacture in America and the strategies you can employ now to deal with the trade wars. There is a growing preference for products made in America. Recent studies done by Walmart and others demonstrate that Americans will pay up to 15% more for products made in the U.S. Consumers have changed their minds from what is the cheapest product to what products are made in America. What are some of today’s trends or issues that new product development professionals and/or retailers face in the housewares market? How to extract labor costs from production and make manufacturing more efficient, so that it is sustainable in the U.S. Thank you, Rosemary, for outlining these important questions that are so critical for manufacturers today. With so much uncertainty in the business environment, your experience is especially valuable now for companies searching for new alternatives. We look forward to learning the latest information from you on Sunday, March 3 at 9:30 a.m. at the Innovation Theater. Learn from experts about how to invigorate your new products and services by enhancing your innovation efforts. Be sure to attend the free executive-level educational sessions at the Innovation Theater to hear about the latest research and analysis of consumer lifestyle trends and omni-channel marketing challenges. These programs will give you a fresh perspective as you walk the Show and will inspire, inform and improve your business. All programs will be audio-recorded and will be available at www.housewares.org after the Show.